After a few weeks of deliberation, the Grand Valley State University student senate finally voted Thursday, March 1, to continue the annual Battle of the Valleys charity competition against Saginaw Valley State University. While some senators had expressed concern that the competition might not be well-known enough to be worth keeping (reflected in the 12 votes against continuing it), Battle of the Valleys is arguably one of the only Laker Traditions that has a tangible and significant effect on the surrounding community. While other traditions, such as Presidents' Ball, can cost the university thousands of dollars to hold, Battle of the Valleys actually raises thousands of dollars every year for the Laker Children's Fund, which awards mini grants of up to $5,000 to organizations specializing in childhood growth and well-being in Kent and Ottawa counties. According to the Battle of the Valleys' history web page, the competition, which has been around since 2003, raised a whopping $17,331 for the Laker Children's Fund in 2016. While GVSU has never raised more than SVSU, the competitive nature of the fundraising has clearly spurred Lakers to open their wallets and contribute to this worthy cause nonetheless. Even though some senators may be convinced that this event is overshadowed by the accompanying football game, surely they are doing something right because money is still being raised. And down the line, perhaps they can harness the hype of the football game in their promotional endeavors to encourage even more donations from the Laker community, turning what might be considered a competitor for attention into an attraction for fundraising efforts. In addition, while senators might be concerned that students don't know about the fundraising side of Battle of the Valleys, replacing the competition with another charitable endeavor won't solve this supposed issue. GVSU students across campus are constantly pushing new initiatives and agendas as part of their respective organizations, so a new charity effort would likely just get lost in the noise of other Laker happenings. 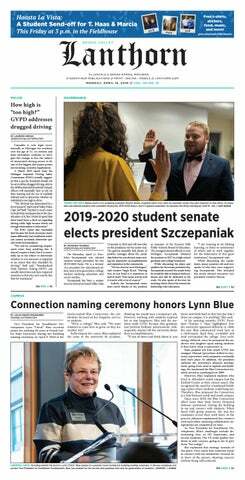 It's better that senate is working to push a pre-existing Laker Tradition, building on an established history to continue to raise money for the Laker Children's Fund. In the end, the most important reason to keep this event is simply the fact that it does raise money for charity. While it takes time and effort to plan, spread the word and put on, the end result of Battle of the Valleys makes it worth it. Despite senators' concerns, the event is actually reasonably well-known around GVSU, and trading in this tradition for another is ultimately going to confuse people. When something has been going on as long as Battle of the Valleys has, it can be considered a staple university event. And while all students may not be aware of the charity aspect of the event, it brings the campus community together for that small period of time and fosters school spirit.